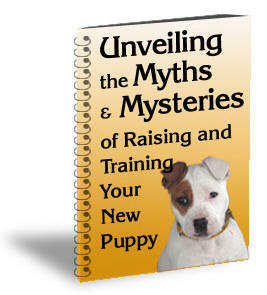 Do You Have Dog Behavior Issues? The Best Way To Train Your Dog? It is not just the same boring re-hashed articles you see all over the internet. You will get fresh, newly researched insights, tips, facts & advice. 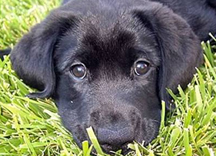 You will discover things you never even thought of related to dogs in general delivered in bite-sized portions every week via email... FREE! In Dog Talk Weekly we talk about everything related to dogs, from dog behavior issues and dog obedience training to dog health, healthy dog food tips and fun dog facts and trivia. PRIVACY NOTICE: Your Information Is Safe! I will never share your personal information with anyone. By joining, you give me permission to send you Dog Talk Weekly. You might also receive on occasion special bonuses and notifications of related dog offers. I have a good understanding of dog behavior, but you still managed to teach me something new. There is a wealth of knowledge in all these articles. I would strongly recommend anyone interested in dog anecdotes, dog behavior, dog training or even if they only want to share their doggy stories, to join your free “Dog Talk Weekly Digest"
Keep the articles coming, I am listening. Fresh material that I research "offline"
I don't just scour the Internet to duplicate what you will find everywhere else. I do real research to get you fresh information. I use my journalism expertise to root out (excuse the pun) new advice and tips that you can use to enhance your dog ownership skills... while expanding your knowledge about dogs in general. And I do my best to make it FUN! for you and for me. Nobody wants to read a publication that is all serious content. I know I don't. Can your dog see color? What's in a nose print? plus you'll even be able to submit questions to see if our readers have answers. If there's enough reader input, I will consider running the occasional dog owner's competition. I welcome your suggestions for this section. Dog Talk Weekly Digest provides tips, trivia and insights about dogs, dog care and dog training... and YOU get to participate! The Dog Ezine where YOU get to contribute! And grab your FREE Subscription and this interesting Report. Is the form not showing, and you have not registered before? Do this: Clear your cookies on your browser and reload the page. The optin form should reappear. If you still cannot see the form, please contact me here and I'll check it for you as soon as possible.